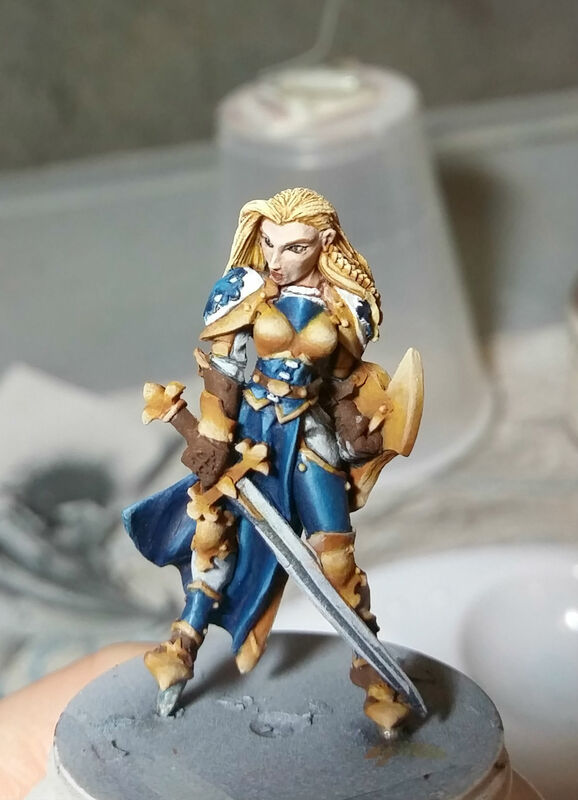 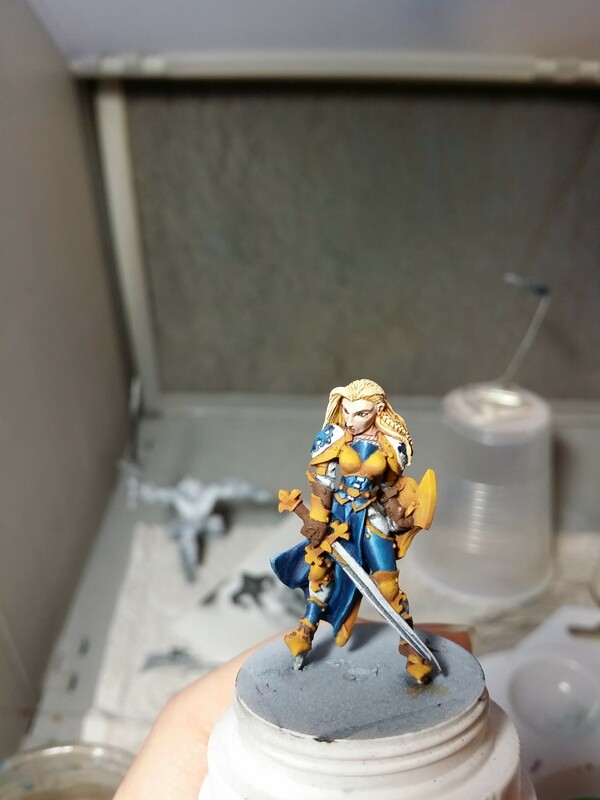 Recently, I painted Reaper Finari Female Paladin. 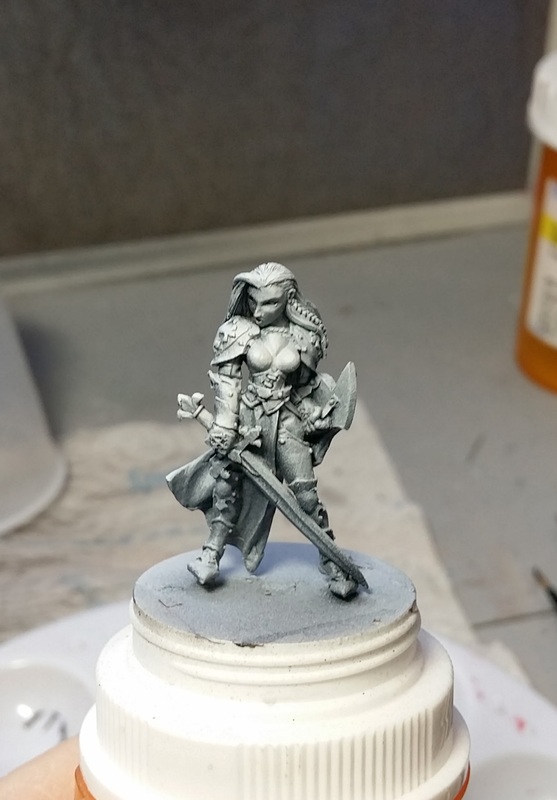 This was the metal version of the model. 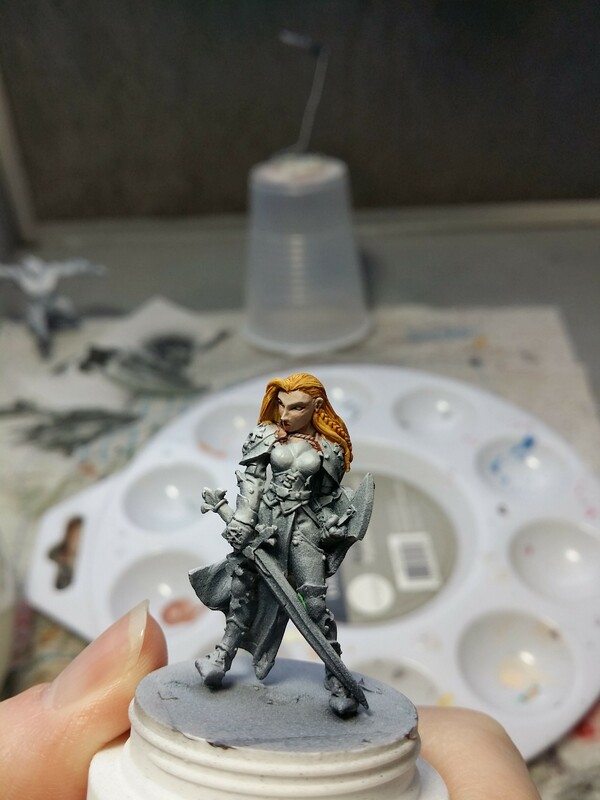 As usual, it was primed with Vallejo Surface Primer. 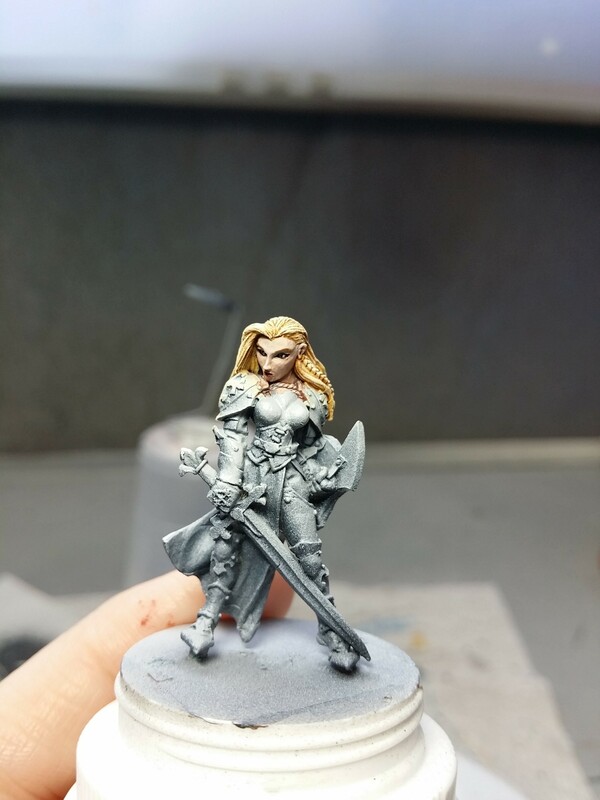 I primed it with zenithal lighting, which is something I’ve been doing a lot more lately, and I find it can be very helpful. 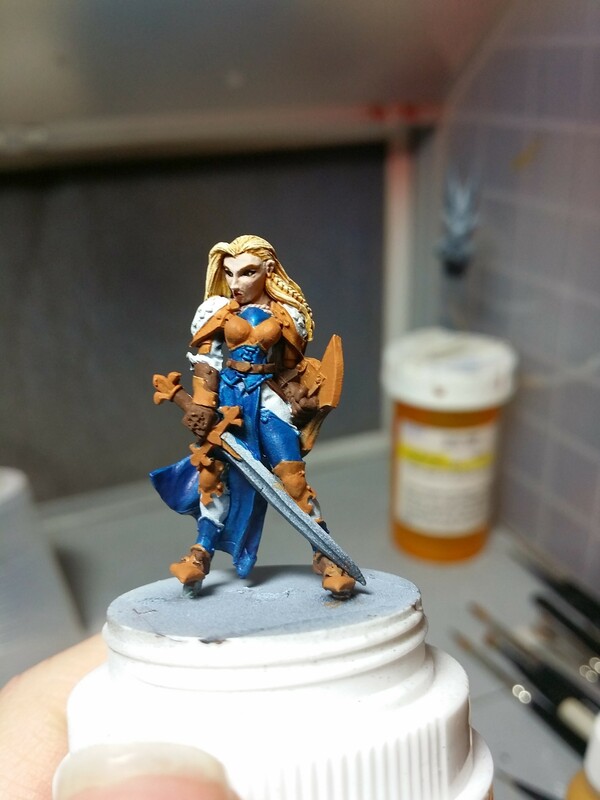 Using RMS Fair Skin and RMS Fair Highlight and RMS Flesh Wash (as a glaze) I painted her face. 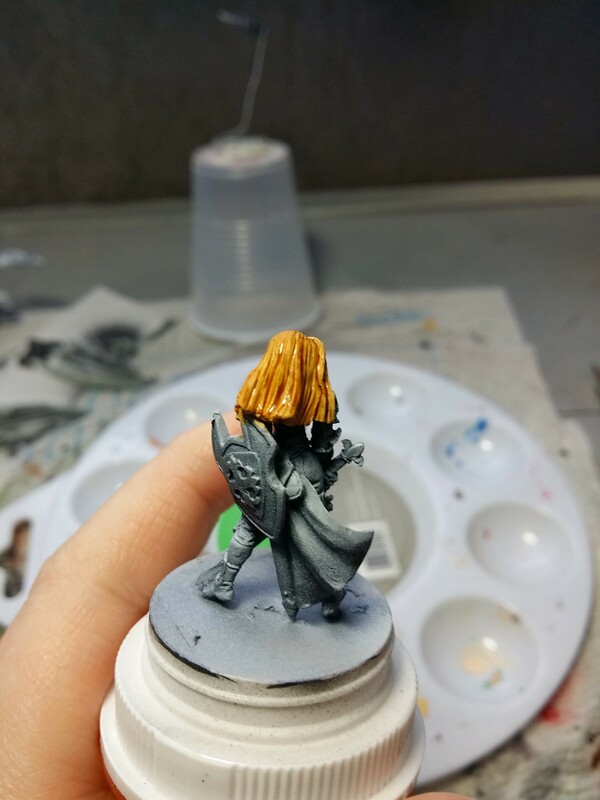 I also used RMS Golden Blonde on her hair. 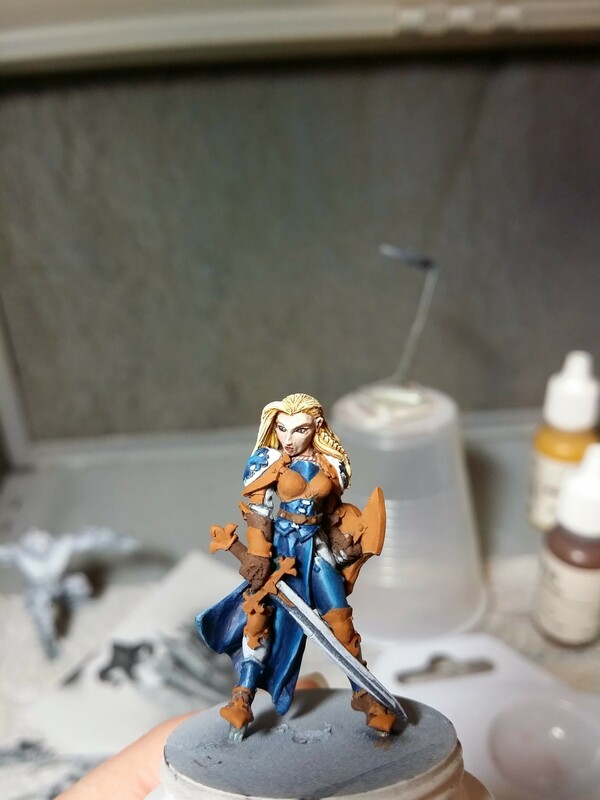 After that I washed her hair with GW Seraphim Sepia. 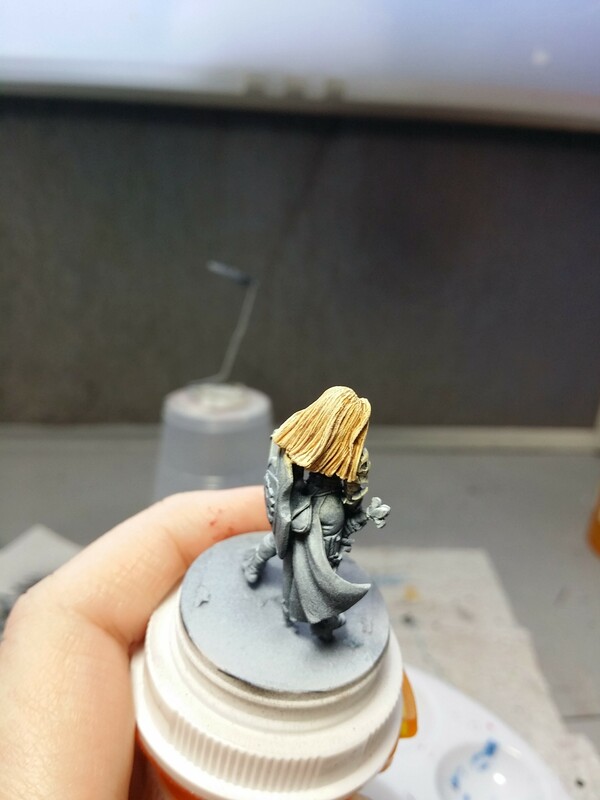 Next, her hair was drybrushed with RMS Golden Blonde, and then drybrushed again with a mix of RMS Golden Blonde and RMS Linen White. 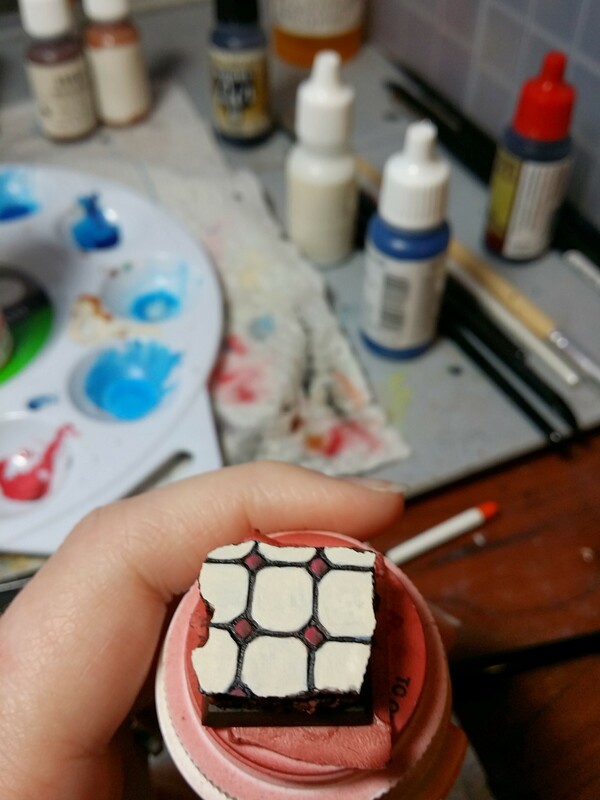 I also painted in her eyes. 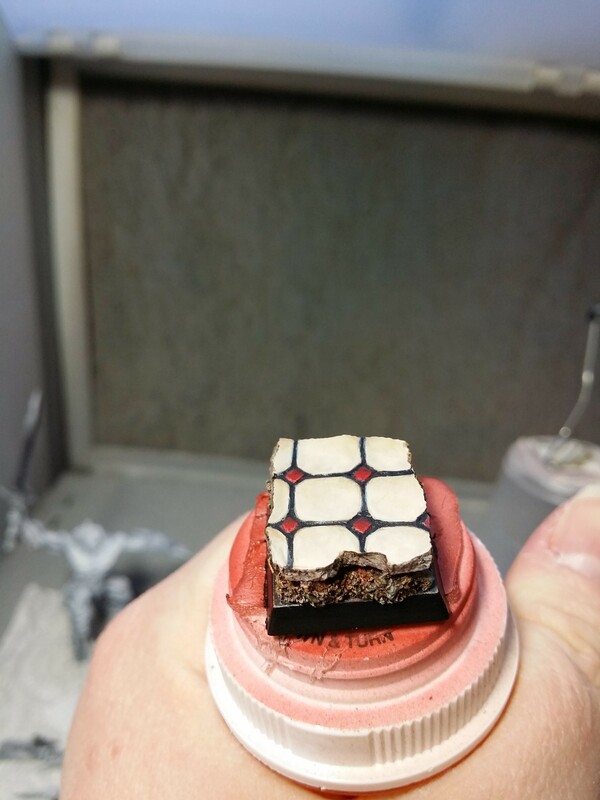 After, I basecoated the various parts of the model with RMS Oiled Leather, RMS Muddy Brown, or VMC Dark Prussian Blue. 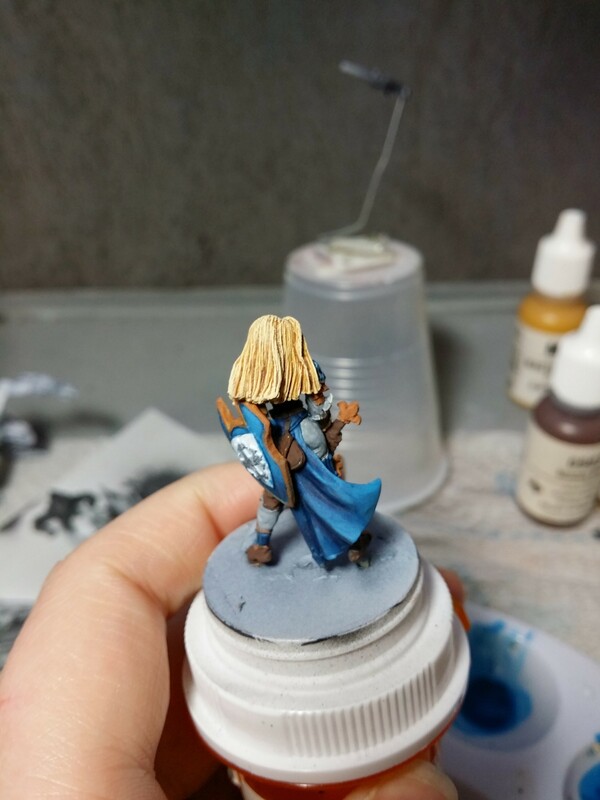 After that I began the blue NMM. 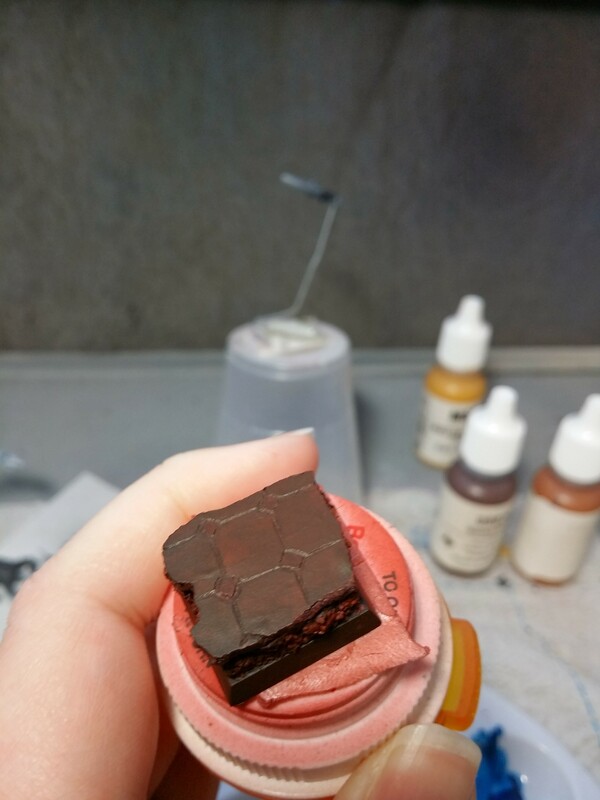 The base is carved sculpey tiles mounted on cork. 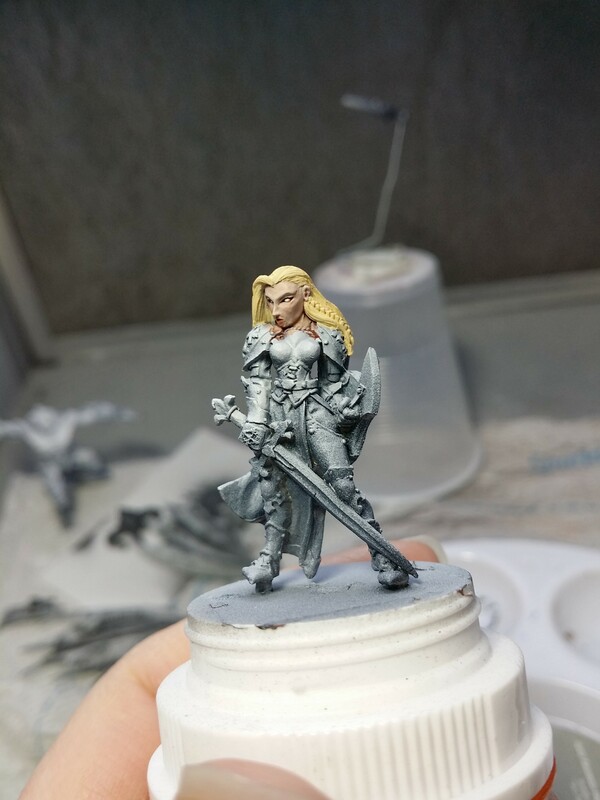 First it was basecoated VMA Mahagony. 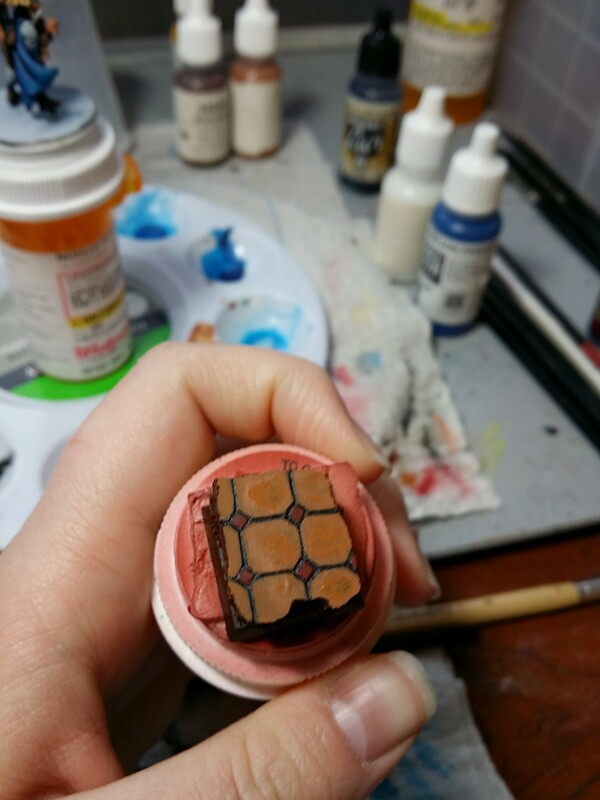 Then I began lightening it up. 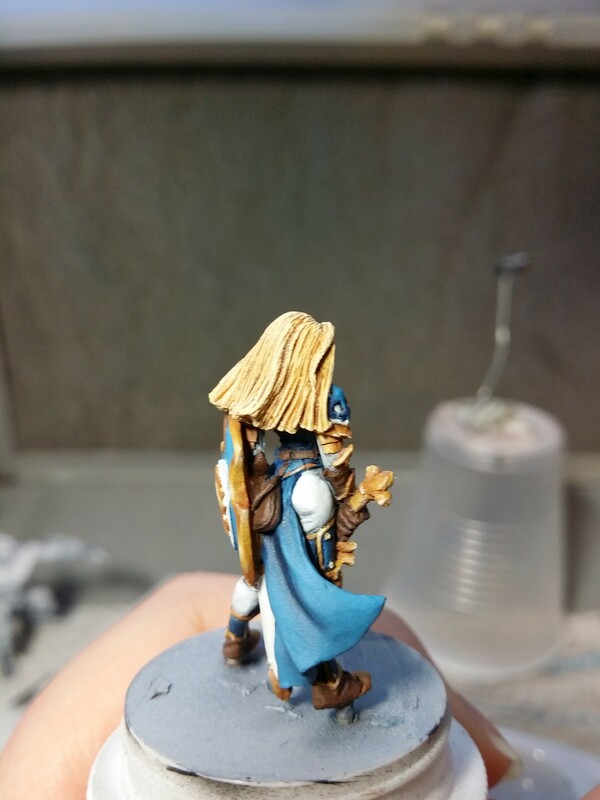 Next, I highlighted the blue cloak and finished the blue NMM. 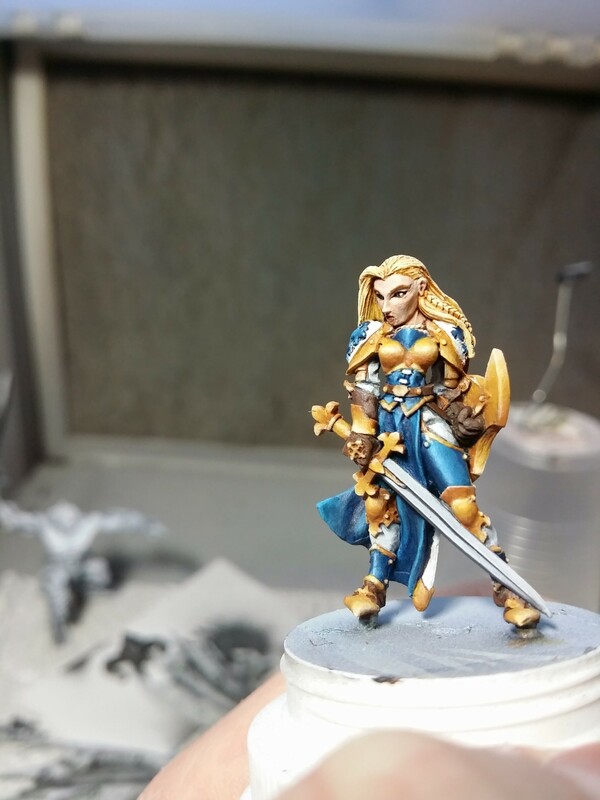 Then it was time to begin the gold NMM. 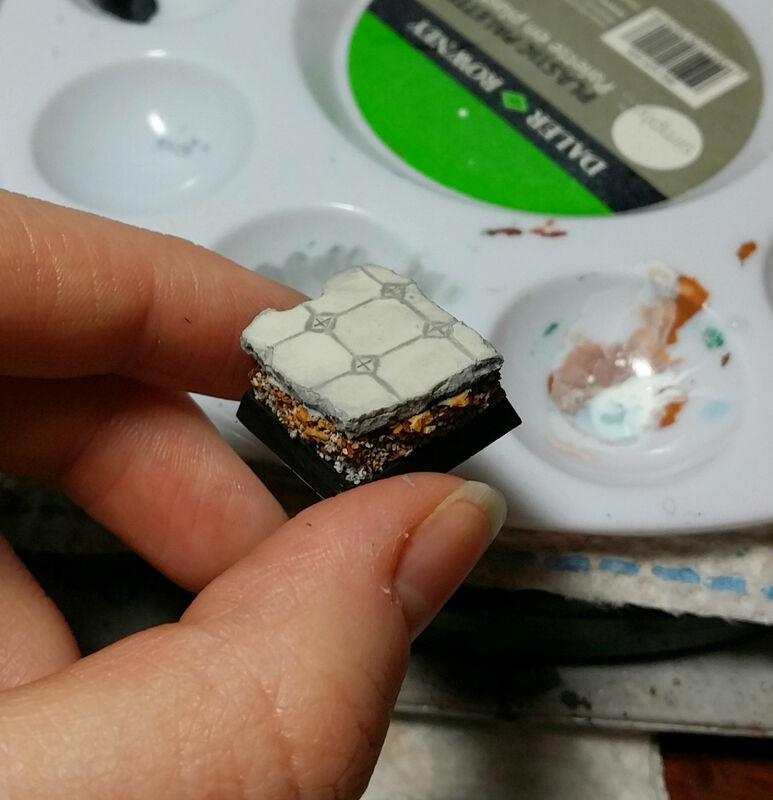 Then I finished the base. 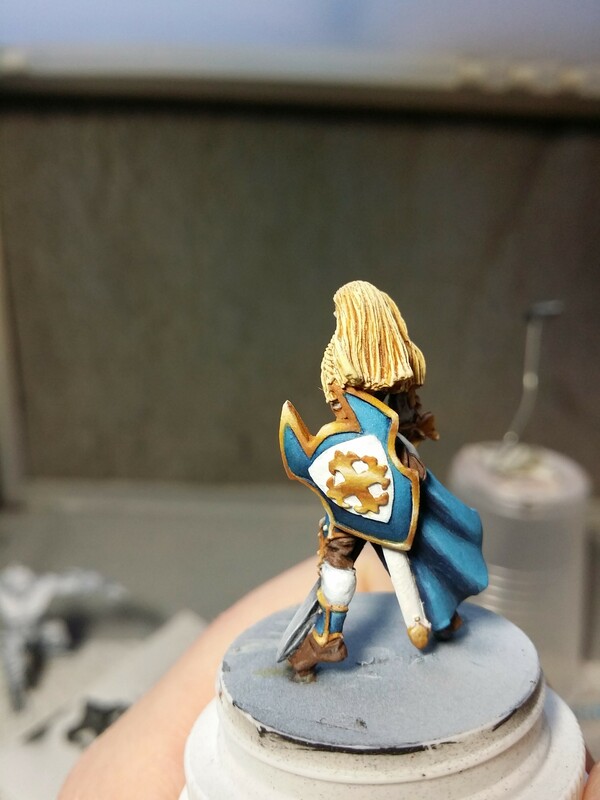 And worked more on the gold NMM and the steel NMM of the sword, and did the leather bits. 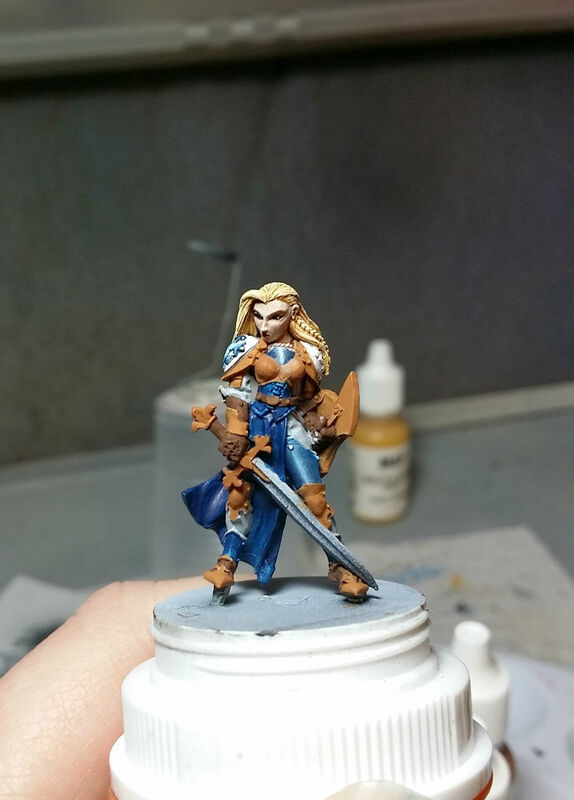 And here she is finished!